Türk Telekom International’s Managed Wavelength service provides a point-to-point telecommunication path between end points. It is a superior solution to serve high capacity requirements resulting from the Customer’s growing data, storage and video traffic demands. The service is able to carry any data between end points, managed 24x7x365 end-to-end, and may include protection upon customer’s request. Türk Telekom International’s Managed Wavelength service is available over lease or IRU conditions. The service may be extended over a third party fiber network to reach customer’s premises. Türk Telekom International’s Managed Wavelength service is delivered over Türk Telekom International’s secure fiber network using Dense Wave Division Multiplexing (DWDM) technology to increase bandwidth of existing systems by combining multiple wavelengths or lambdas onto a single fiber. 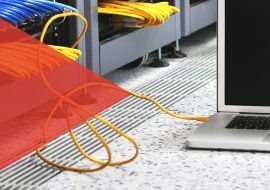 Delivered over Türk Telekom International’s reliable and secure optical fibre network, Türk Telekom International’s Managed Wavelength service offers bandwidth options of 2,5G WAN, 10G LAN, 10G WAN, 40G LAN and 100G LAN.